Did you know Alaskan Red King Crab fishermen can earn $60,000 in 4 weeks? That’s right, Alaskan Red King Crab fisherman can earn an annual a salary in about one month. Their salary reflects the risks they take. This is one of the most dangerous jobs in the world. Conditions are extreme… along the Bering Sea… in November. But fishermen don’t just get on a boat one day and ship out to rough, wintry waters the next day. Instead, Alaskan fishermen develop detailed plans because being out to sea for weeks, presents resupply issues. To succeed, fishermen follow a tested strategy supported by a detailed plan. Likewise, your company can earn most of its annual revenues in 4 days… at your annual trade show. To succeed, you need a content marketing strategy supported by a detailed plan. Many of your competitors have jumped on the content bandwagon. But most of them believe their content marketing is ineffective. 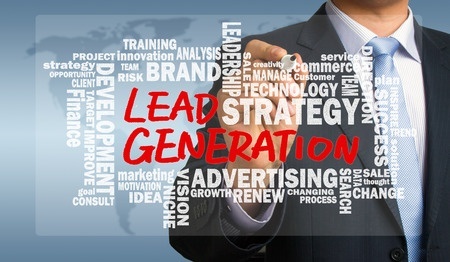 As you know, generating leads is the lifeblood of any business. And driving traffic to generate leads and increase sales isn’t easy in a sales-driven industry like transportation and logistics. So are branding and customer retention. Translation: More content does not mean better content. And content without direction and focus falls short of expected results. But… with a content strategy, you can boost effectiveness by up to 600%! How do you achieve that? You see, B2B and B2C marketing have significant differences. That’s why B2B content marketing requires a different approach. 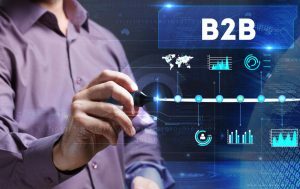 First, let’s look at some explicit differences between B2B and B2C. As you can see, the B2B market poses more challenges. It affects lead generation, branding and customer retention. If it sounds like mission impossible… don’t worry, it’s not. All you need is a practical content marketing strategy. One that works for you. Developing a trade show content marketing strategy is the answer to the challenges you face. It will take your marketing content to the next level. It will take your marketing content to the next level. You’ll hit your sales targets and improve your ROI. Let’s look at the criteria that an ideal content marketing strategy comprises. Then we’ll look at how all the pieces fit together to make a cohesive whole. And the same criteria that apply to your content marketing strategy also apply to your annual trade show. Now you’re completing two actions with one. You’re maximizing your resources by focusing them on a specific audience and a specific outcome. That results in a simplified, optimized strategy that is both effective and efficient. That’s all well and good, but we need to look at one more thing. Trade shows are perfect because they address the demands of the B2B market head-on. I’m sure you’ll agree that trade shows are hay-maker events. With proper preparation, you can generate up to 50% of your annual revenues… in a matter of 3 – 4 days. I know your customer. I know your industry. I know your products and services. I can help you achieve outsized results your next trade show. I can help you increase your sales in the crucial 3-4 days at your trade show because I write marketing content only an “Industry Insider” can write. As an “Industry Insider”, I can help you increase “quality” leads, build your brand, and boost customer retention. To learn more about my approach, check out my website. It’s organized into three key areas: (1) Digital B2B Marketing; (2) Print B2B Marketing; and (3) Integrated B2B Marketing. Contact Alex Milo at amilo@b2bcopywriting-alexmilo.com or call 256-886-4684 for a free 15-minute consult. No strings attached. I look forward to hearing from you. P.S. At the Articles page, you’ll find more information about using Trade Shows as a marketing strategy. If you have any questions, I’d be glad to address them, contact me at amilo@B2Bcopywriting-alexmilo.com or call me at 256-886-4684.